You may be surprised to hear that everything I’ve mentioned in this on-page SEO guide until now will not help improve your actual rankings much. The intent, so far, has not been to improve rankings, but to remove penalties. If you apply the methods mentioned, you may see your website jump from the 60s to the teens, and yet that isn’t really an improvement of rankings as much as it is a removal of the -50 penalty that was keeping your website from showing in the SERPs where it really should rank, based on the merit of your content and it’s links. Now your position in the SERPs has dramatically increased, as you have lifted the penalty. Your page has settled in the SERPs at a stable position, yet you want to improve your ranking. How do you do it? Well, you could do what most people do — build more links. However, this is an on-page SEO guide, so I’ll explain how you can improve your rankings without getting external links. This is the most powerful thing you could do to increase your ranking. People talk of building their own private blog network, where they create websites with the intent of linking to their money site to improve rankings. Meanwhile, every page on their money site is a potential tier-1 to other pages on the site! Every page on your site is an opportunity to promote another age. If you do not do this, you are wasting the link equity that each page of your site holds. Every page of your website that has decent content has a healthy dose of link equity that it can pass along to other pages from in-content links. The saying goes, if you don’t use it, you lose it. This applies not only to your brain and muscles, but also your on-page link equity. Every page of your site should link to the other most relevant pages, in-content, as often as possible. Start with three outgoing links per article, and increase as it makes sense. This is almost exactly the same as the first point above, except instead of linking to other articles within the current article, you will go to the other most relevant articles and post a link back to the new article you just wrote. You will notice in Google’s webmaster tools that they keep track of every word you use on your website, and show a chart of how often you use these words. They didn’t build this for your sake, it is something they use to determine the relevancy of your content. All of the topics of your website should somehow be connected, in a broad sense. As you nail down your different categories, content within each should be even more relevant to each other. It isn’t just the fact that you’re interlinking that is powerful for on-page SEO, it’s that the interlinking pages are extremely relevant to each other. Google loves to see fresh content. They love to see a continually improving website. By slowly improving all your articles, this sends a signal to Google that the website is actively being curated, and the information is fresh. 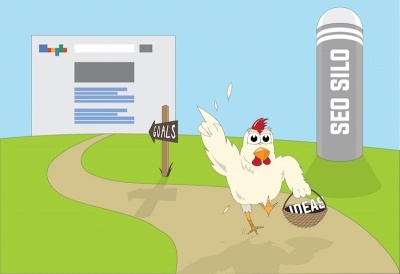 Comments kills two birds with one stone, they provide slowly improving content over time, and they also provide a strong social signal to your pages, providing evidence to Google that your page is popular with people. 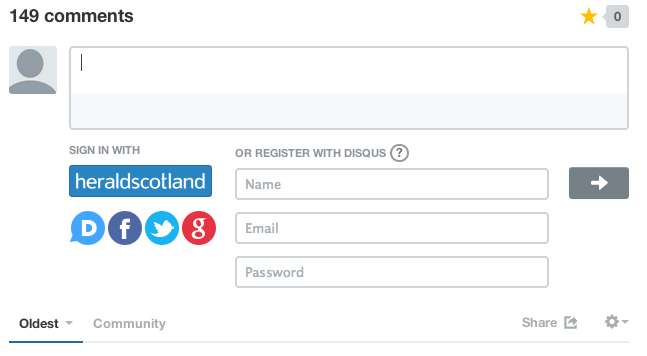 Disqus is an excellent comments plugin, and also provides social backlinks to your website as people begin to comment. Posting at 3pm every day shows Google that your content is most likely automated. Google favors original, manually created content over automated postings, so post often (but not at exact schedules). Some people are perfectionists when it comes to their articles. 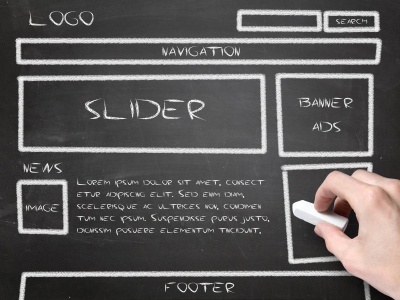 While this can be a good thing, you don’t want to delay the development of your website. Age is a definite ranking factor. Improving pages is a ranking factor. Therefore, it makes sense to put up a post that may not be as perfect as you eventually want it to be, so that Google can watch you improve it over time, as well as begin it’s aging process faster. When you consider the fact that every post on your money site is a potential tier-1 article that links to other money pages on your site, the case for increasing your volume of content is made. I often tell people they can rank their websites with a few external links, and thereafter ranking under the weight of their own internal links. It’s impossible to do this if you do not have enough pages to link from, so produce more content! Google notoriously sends out “thin content” affiliate site warnings to webmasters who have thin content. This is a negative ranking factor that can be solved by producing more content. Here are some ideas on how to help you interlink. If you have installed the YARPP plugin as I’ve previously recommended, at the bottom of the page you will already see which pages have the most relevancy to your article. Going through your articles one by one and glancing at which other pages that YARPP considered as relevant will help you and add the same links in-content. 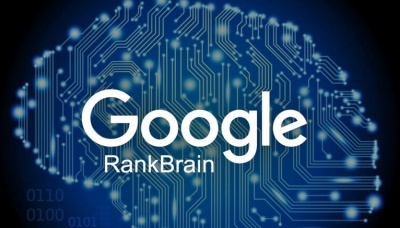 Remember, in-content links are far more powerful than template generated links, so this will help your pages rank better. If you’re not using a related posts plugin, Google can be helpful at telling you which pages are the most related. Simply go to Google, and type site:yourdomain.com keyword, where the keyword is what you want your current article to rank for. 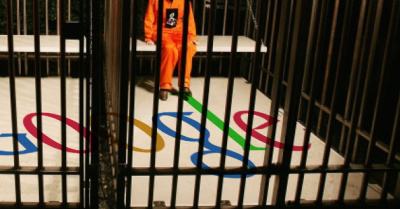 Google then returns every article that ranks for that keyword in order of relevancy. Simply pick the top 3 or so listings, go back to your article and add the links (in-content) to those pages. 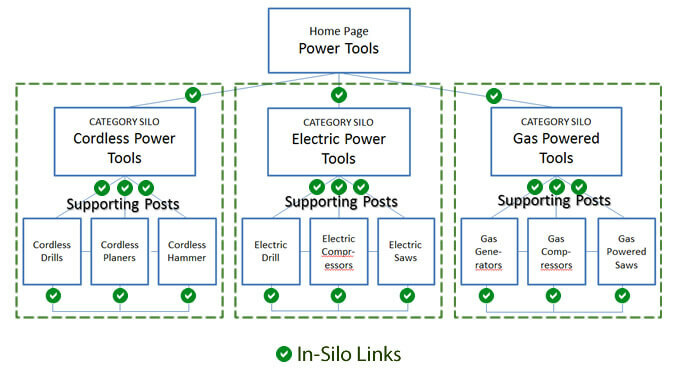 One of the buzz words in SEO is “siloing”. This concept is meant to improve your rankings through limiting the number of outgoing links on each page to those that are the most relevant to the content of that page. The idea is that each category on your site, as a different topic, will not link to other pages on your site from different categories, as they are not relevant. In turn, as you enter a category, there are subpages which may interlink with each other because they’re highly related. This idea can be extended where each subpage is yet another, more refined, category, which only links to the other pages within that subcategory. This section isn’t meant to be an exhaustive explanation of siloing, but I mention it because people have heard the term and are curious why it makes pages rank better. The reason for this is relevancy. You can accomplish better rankings, with less links, as long as your internal linking is highly relevant. In practice, siloing is rather difficult to accomplish on a WordPress blog. I consider the YARPP plugin (yet another related posts plugin), to be a sort of poor-man’s siloing. It’s end result is that it only links to the other most relevant posts on your blog. In some ways, YARPP is superior, in that you do not have to consider the internal linking of your pages and plan out your site design as intricately as you would have to with siloing. The relevant connections are built for you, automatically by algorithm. Because the linked pages are relevant, Google rewards it with positive SERP movements. The next article in this series covers negative SEO. Your site is getting bombed with bad links! How do you bring it back? The article will also be relevant if you have accidentally ordered bad link packages to your domain and want to fix it.